Ruchi Sanghvi, VP of operations at Dropbox, is stepping away from the company. Sanghvi had worked in a variety of areas at Dropbox over the past two years, including recruiting, product, communications and marketing. She was one of the few and most prominent women execs amongst today’s high-profile young technology companies. “I’ve been working at breakneck pace and feel like I need to take some time off,” Sanghvi said today. She said she does not immediately plan to join any other projects. In a phone interview, Dropbox CEO Drew Houston credited Sanghvi with leading a recruiting organization that brought Dropbox to 265 employees from 90 when she joined, including many high-profile hires from Facebook and elsewhere. 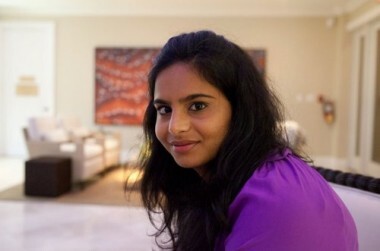 Sanghvi herself had joined in early 2012 when Dropbox bought her collaboration startup Cove. She was previously Facebook’s first female engineer, who led product and engineering work on the original Facebook News Feed as well as many other features. Sanghvi’s departure was announced internally today. She will remain a company adviser, Houston said. Her husband, Aditya Agarwal, will continue to lead engineering and design at Dropbox.